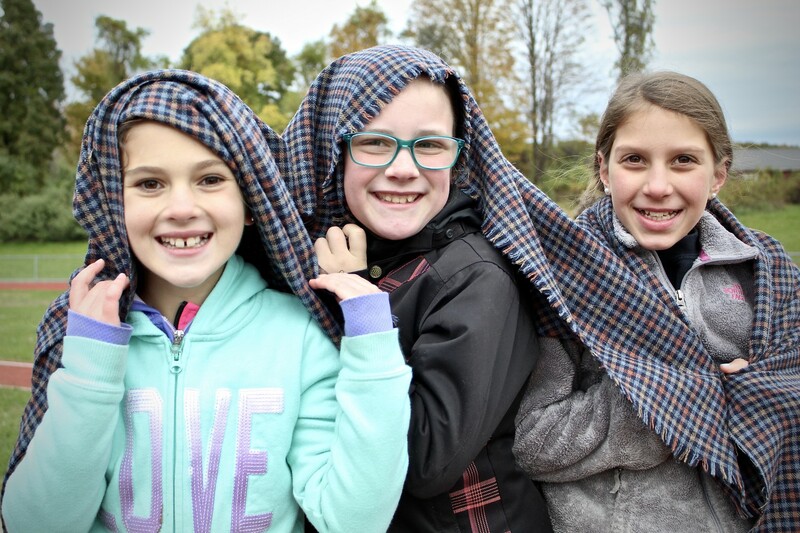 Photos by SVS students Jolie Grazia and Emma VandenBosch. 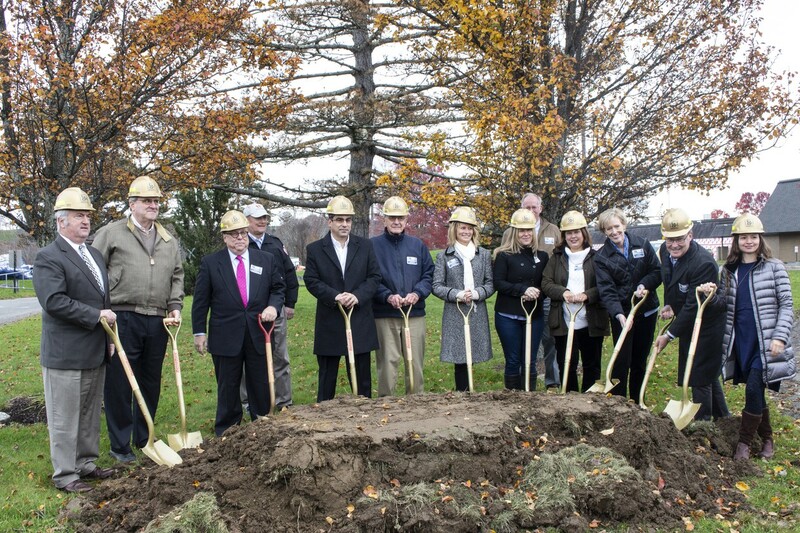 "On Friday, November 9th, we held the official groundbreaking ceremony for the new agriscience program and science labs renovation. This event was three years in the making. I appreciate the efforts of the team that never let the project go dormant. 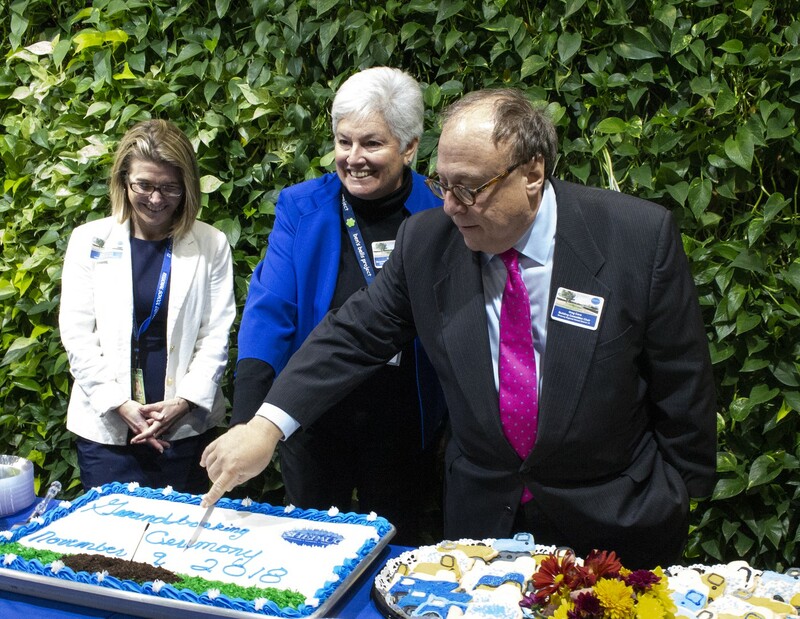 The new agriscience program is a testament to the staff's grit, patience, and vision. The celebration was another showcase of the team effort that exists in our schools. Our SVS custodial staff transformed the mall into a reception hall while concurrently putting together the outdoor celebration. A special thank you to the Central Office staff for making sure all details were attended to. 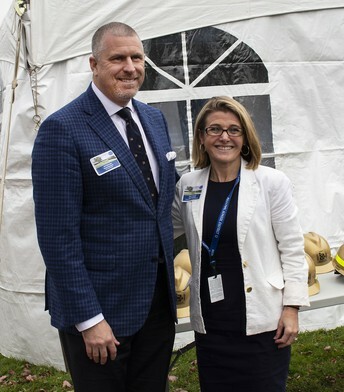 I appreciate Lill Murphy's ability for pulling everything together (including moving furniture) and Linda McMillan's artistic vision and talent in the ceremony. 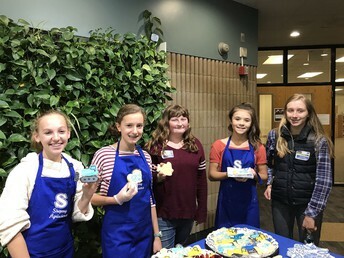 Ginger and the cafeteria team created construction themed treats that brought smiles to the event. Such a wonderful show of togetherness! My favorite moment from last Friday's celebration was when three middle school students from the agriscience enrichment classes came to Mrs. Gallo to ask permission to miss some of their lunchtime to see the Groundbreaking. I never want us to lose sight of why we are pushing the agriscience program; our students want this opportunity. 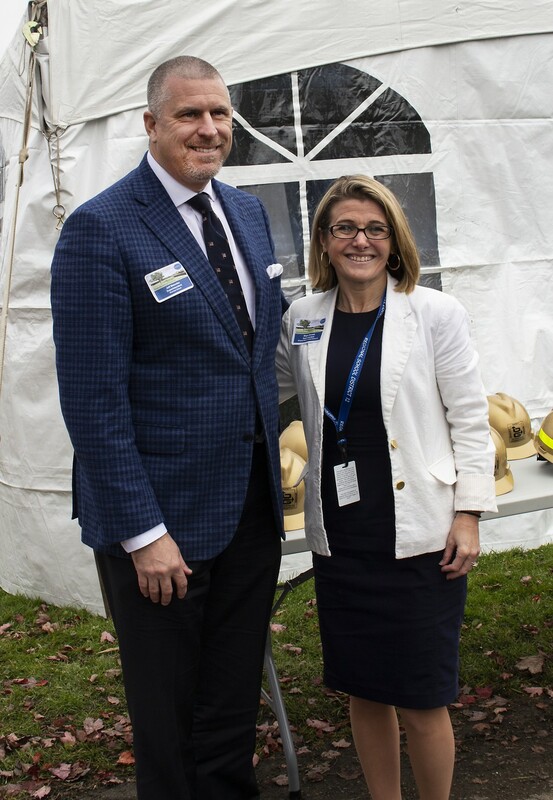 The SVS administrative team will be taking all efforts to maintain safety and educational opportunities throughout the build. Additionally, we recognize that there are elements of the building and grounds we want to preserve as we create the new wings of the building. Memorial trees have been identified to be moved or replaced on the Shepaug campus. We are working with the families to make sure we maintain the dignity and respect deserved for their loved one’s memory. The Region 12 team took challenges and generated accomplishments. I am very impressed that the building project is on budget and pushing forward. 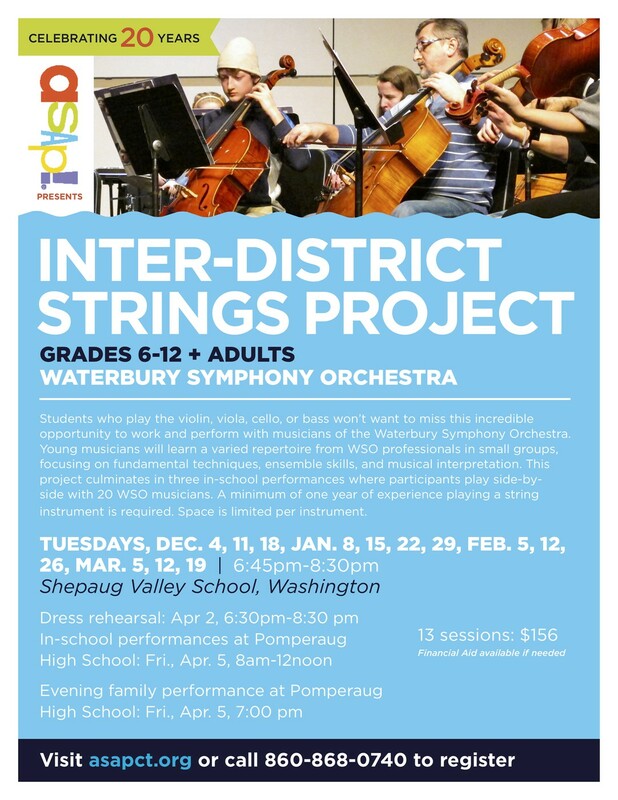 The facts of the building project and educational program should never be clouded by assumptions or misconceptions. The agriscience program will create stability for our schools for years to come." Click the button above to view the Voices article! 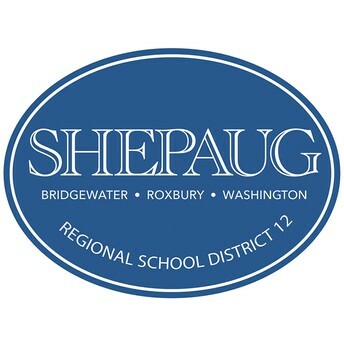 Shepaug will award the Seal of Biliteracy to nine seniors this year. 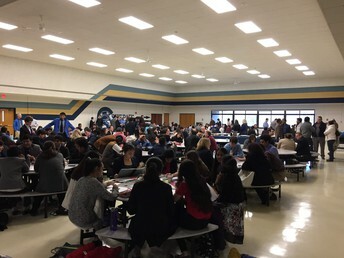 The Seal was created to recognize high school students who have achieved a high degree of proficiency in English and at least one other language. Students must demonstrate that they are able to communicate in the other language through the nationally recognized AAPPL language test. 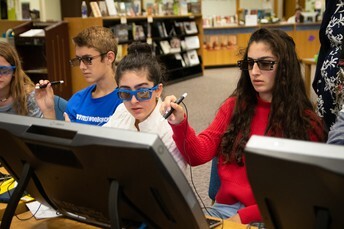 In addition to having the Seal of Biliteracy on their diploma, students who answered this call to global citizenship can mention this distinction during the college application process. 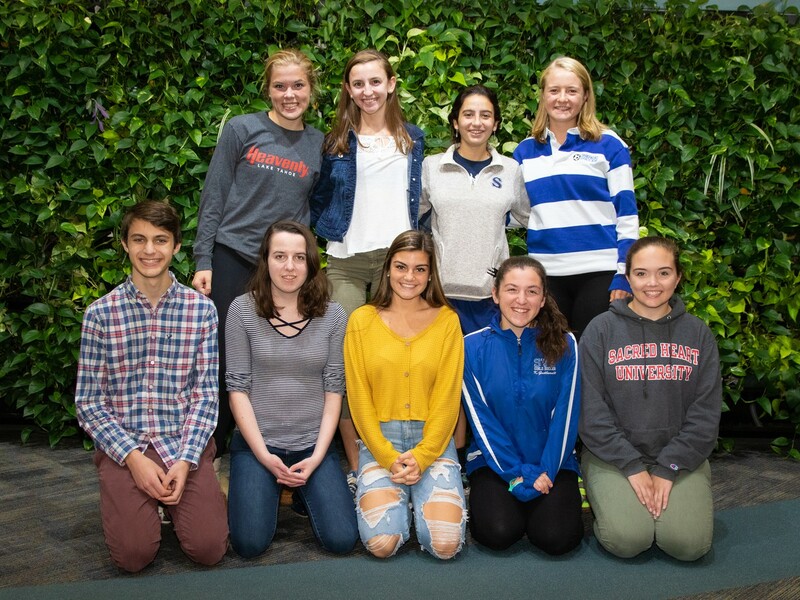 This year’s recipients for Spanish are Kaitlyn Guilbeault, Grace Harty, Wilson King, Alison Parker, Sofia Mancinone, and Grace Wagnblas. Recipients for French are Abigail Gorra, Ashley Mulhare, and Olivia Tibbatts. These students will be recognized at the Academic Awards night in the spring. Congratulations! 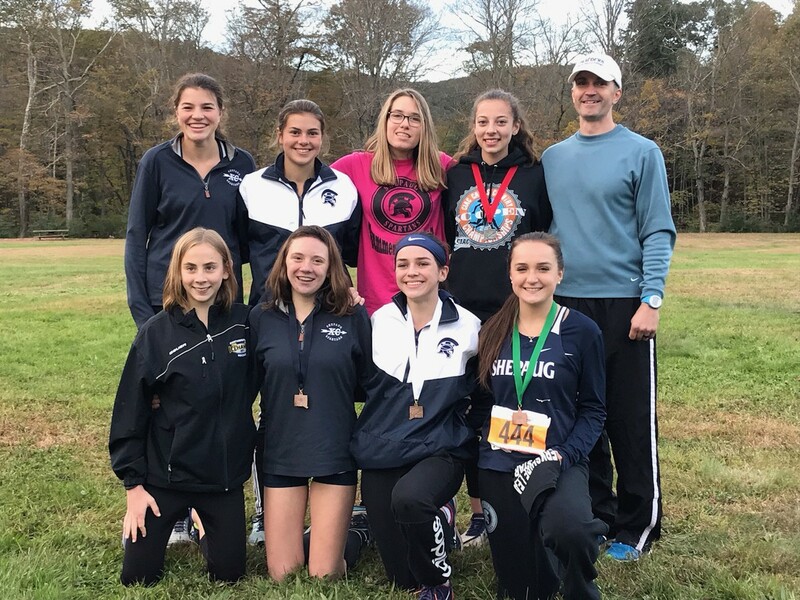 Congratulations to Coach John Spear and the Shepaug Girls Cross Country Team for winning the Berkshire League Cross Country Championship on Friday, October 19th at Black Rock Park in Thomaston. Jolie Grazia and Claire Buckley finished in the top thirty to seal the win. 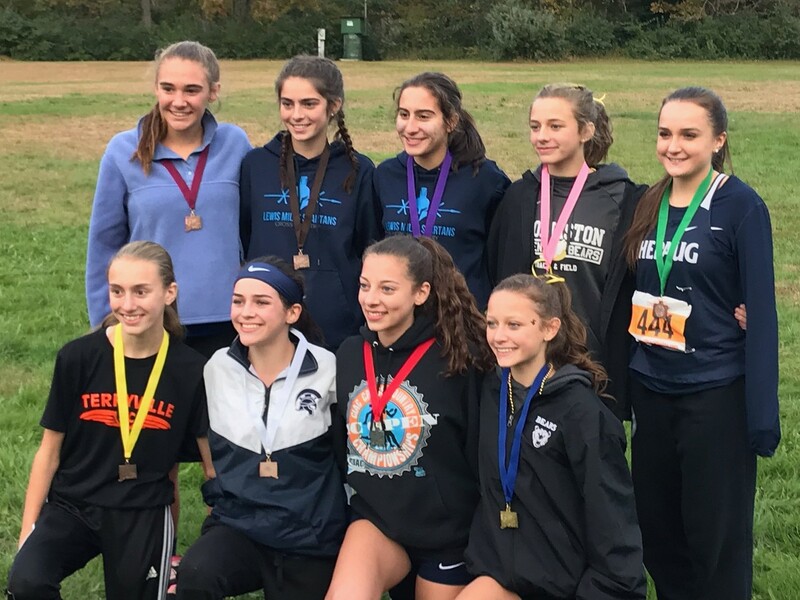 Congratulations to the Girls Cross Country team and good luck to them in next week's CIAC Class S State Championship Meet! 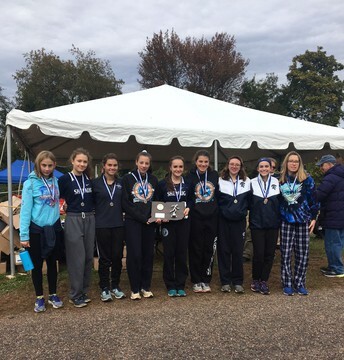 Congratulations to Coach John Spear and the Shepaug Girls Cross Country team for their second-place finish in the CIAC Class S State Championship on Friday. 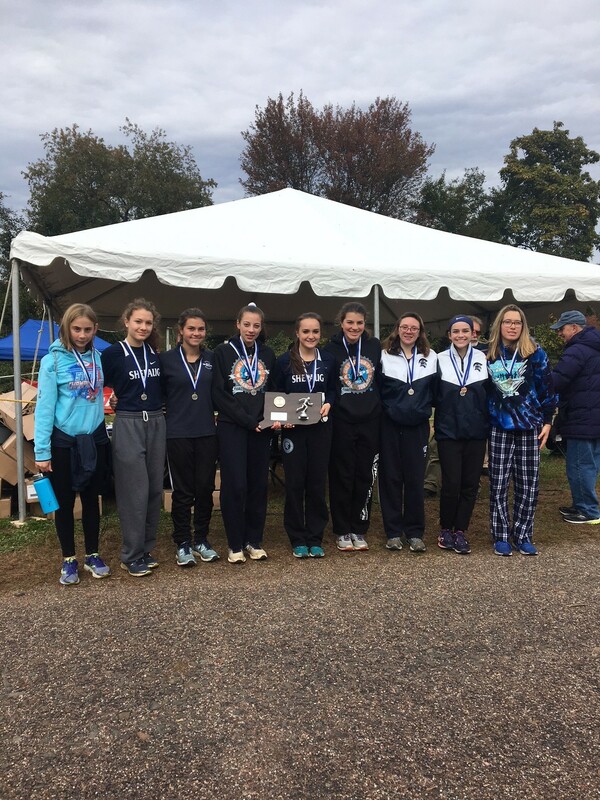 Freshman Eilish Foy finished in 3rd place, senior Elisa Afiouni in 12th, and senior Aileen Rosa in 18th place. 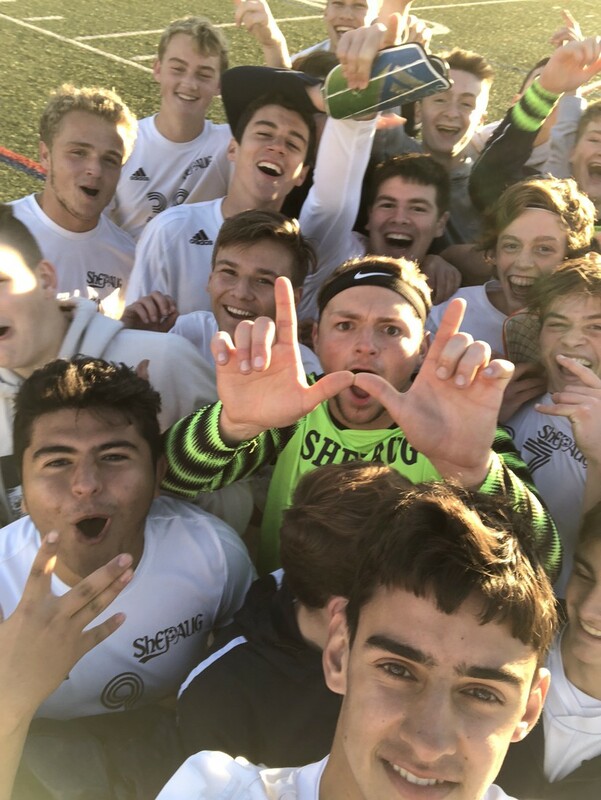 Congratulations to the Shepaug Soccer Team for their victory in the Class S CIAC tournament on November 7th! 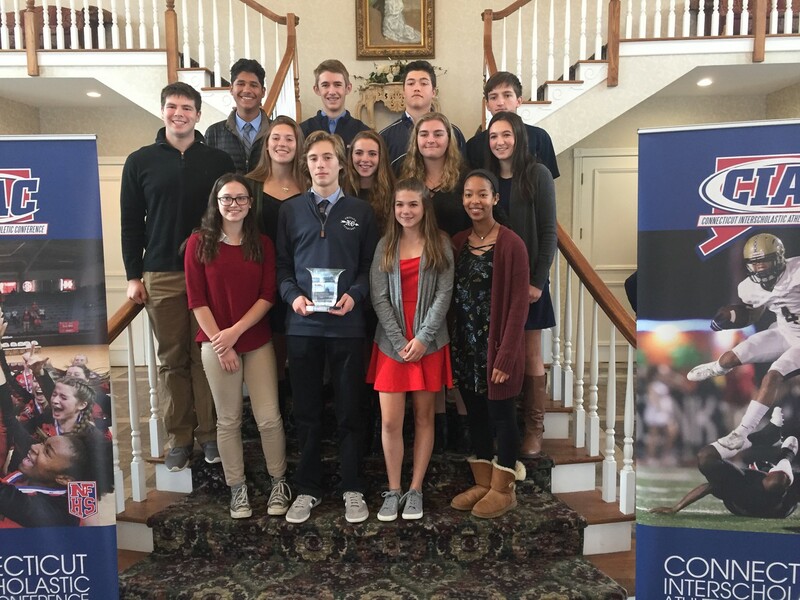 Congratulations to Shepaug Valley School for being honored as one of nineteen schools in CT earning Michael's Cup honors. 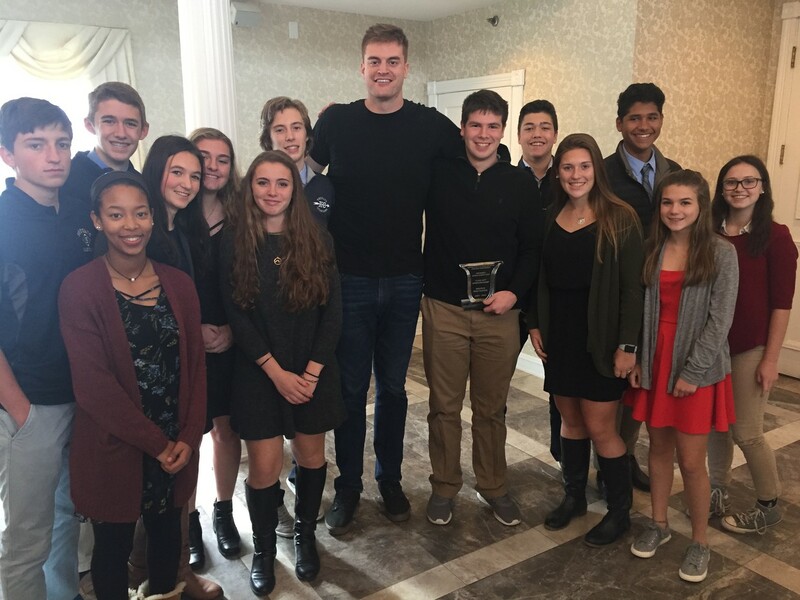 Shepaug students with Kevin Laue, the first basketball player missing a limb to play Division I basketball (Manhattan College). 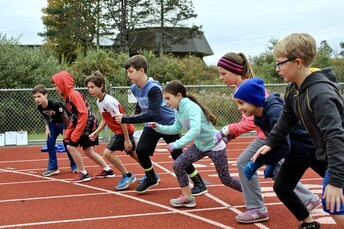 Fifth-grade students from all three elementary schools recently met at the Shepaug track to take part in our annual fifth-grade track meet. Students were divided into three mixed teams and participated in a variety of sprints, distance runs, jumps, throws, and relays. 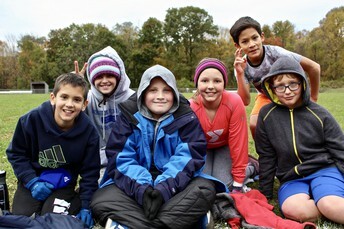 Students trained and then signed up for events at their respective schools during physical education class. 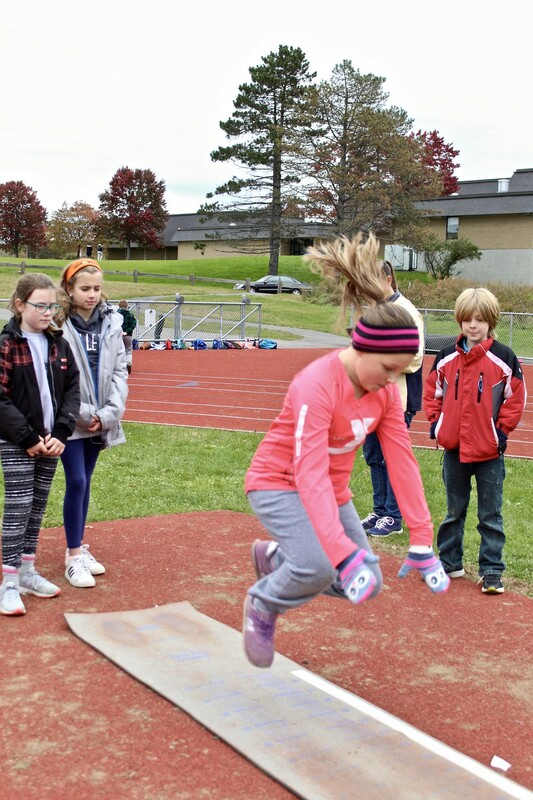 The culmination of this track meet allowed students to show their running and jumping abilities but more importantly provided an opportunity for the Class of 2026 to interact with each other prior to beginning middle school next year. Parents, teachers, and classmates all did a wonderful job cheering on our student-athletes. 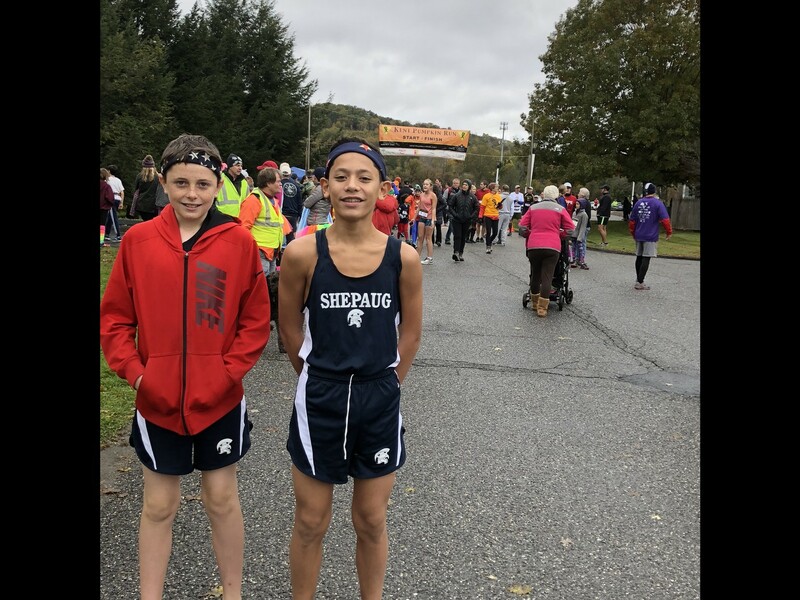 Henry Gsell and Ethan Denning represented Shepaug in the Kent Pumpkin Run on October 28th! zSpace was used to introduce the skeletal system to anatomy and physiology classes. Students were able to investigate microscopic bone and gross bone structure by virtually dissecting a bone. 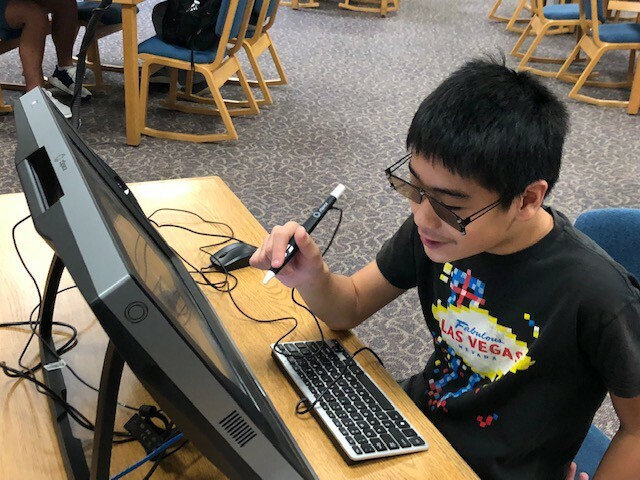 Students also did a survey of the entire skeletal system using the Human Anatomy Atlas application to look at the bones, projections, and openings of the human skeleton. Students were engaged and excited during the lessons and it was a wonderful way for them to experience and interact with the human skeleton. We are looking forward to going back to zSpace to dissect the human muscular system next. 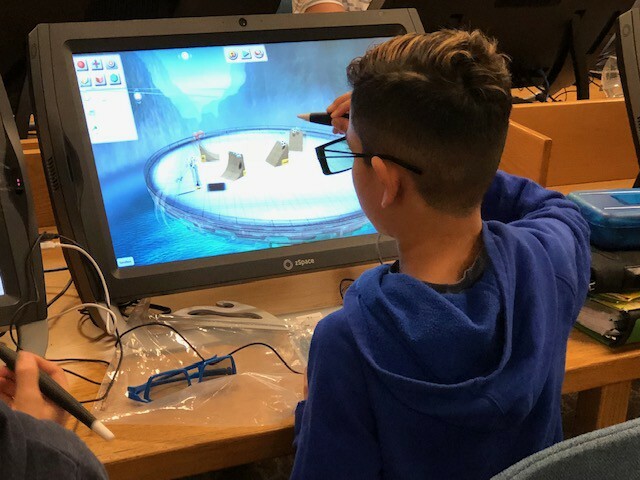 Sixth-grade students participated in the augmented virtual reality studio, zSpace, as they first completed a tutorial to learn about the features, use of the stylus and glasses, and how to interact with the virtual environments. Following training, students completed an activity in the Newton's Park application as they created their own Rube Goldberg machine. This simulation included twenty different events to cause a chain reaction, dependent on volume and mass of the balls and ramp heights. Students were able to draw inferences and predict the nature of an object's behavior as they went through the design process to create their machines. Students talked about problem-solving and how they corrected reactions that weren't working as had been predicted. Robotics students used Franklin's Lab to create circuits. Students studied the effects of resistance placed within a circuit to determine its effect on motor and LED function. This is critical learning so students can understand that motors do burn out and the resistance imposed on a circuit is one of the determining factors to prevent motor burnout while lifting heavy loads. The Shepaug Debate Team hosted its second annual Connecticut Debate Association (CDA) league tournament. 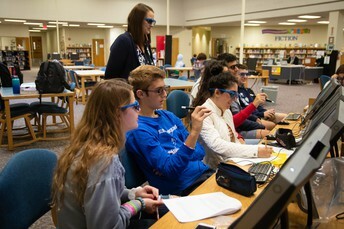 The event was coordinated by Wilson King, team co-captain, as part of his senior project. 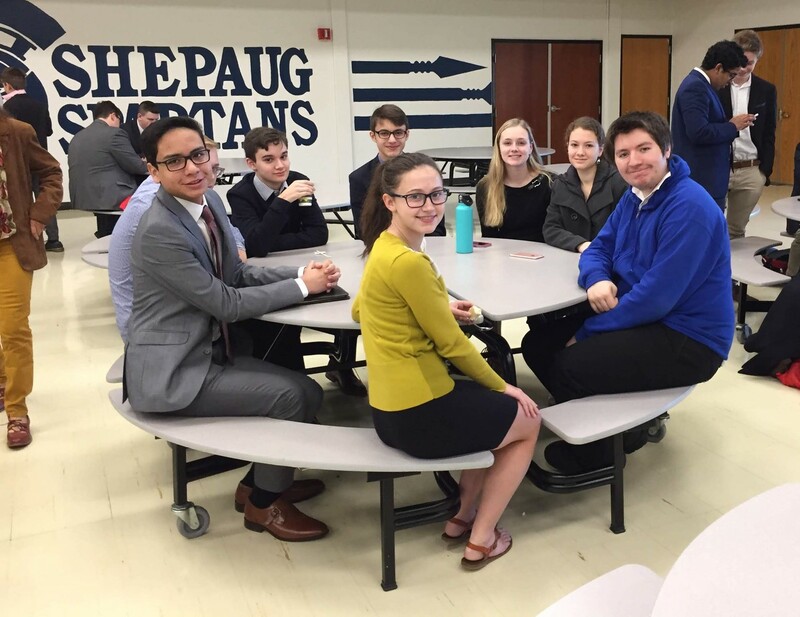 The tournament drew 168 competitors from 16 schools around the state, and required a coordinated effort by team members, parents, and debate coach Fran Beilinson. 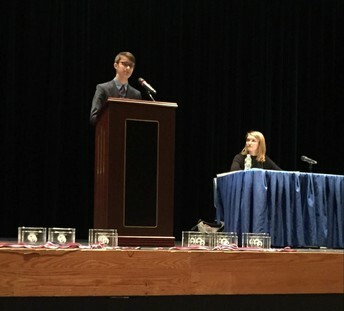 The tournament centered around a resolution, a statement which the affirmative team argues for and the negative team argues against. 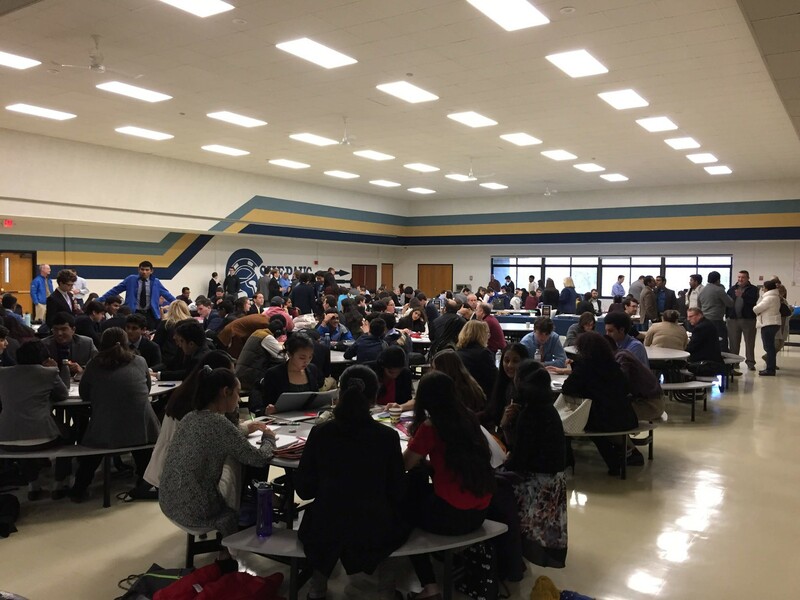 Saturday’s resolution was, “Elite schools should prioritize ability over alternative methods of selecting students.” Each set of partners debated three rounds, alternating the affirmative and negative sides of the resolution. 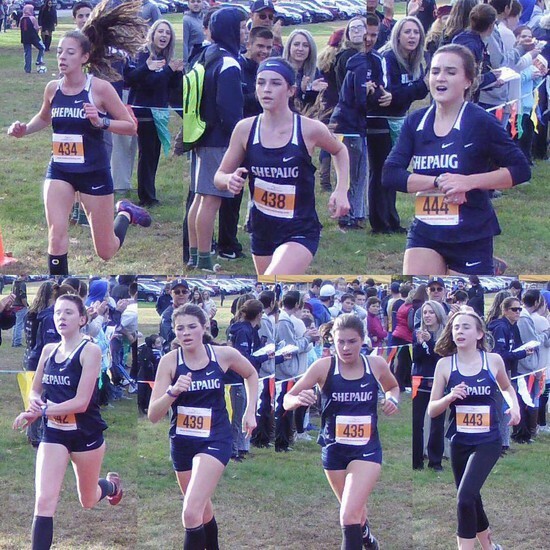 Shepaug’s team, led by co-captains Wilson King and Bridget Snyder, had a strong showing. 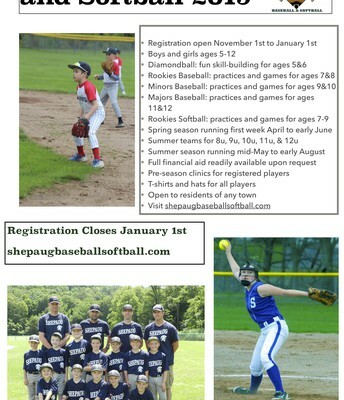 Two of Shepaug’s teams went 3 and 0. 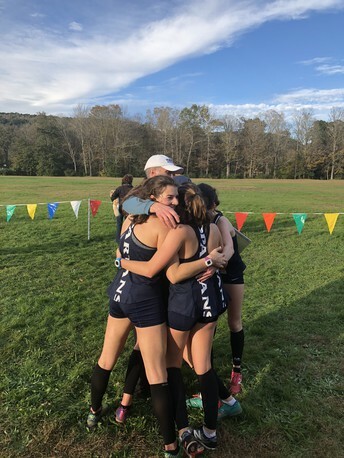 Liz Neunzig and Gwen Noto were the 7th place novice team and are now half-way to the state finals. 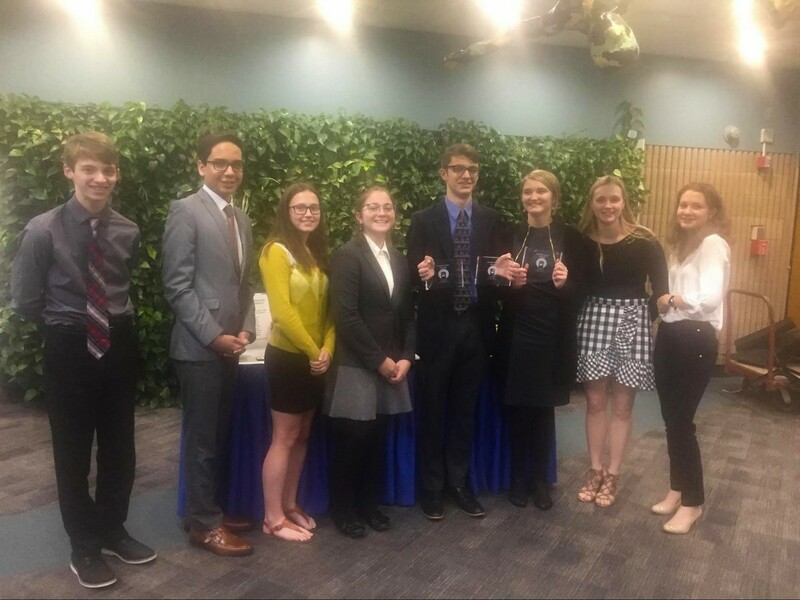 King and Snyder went 3 and 0 with speaker scores that landed them in the final round where they took home 2nd place team trophies. 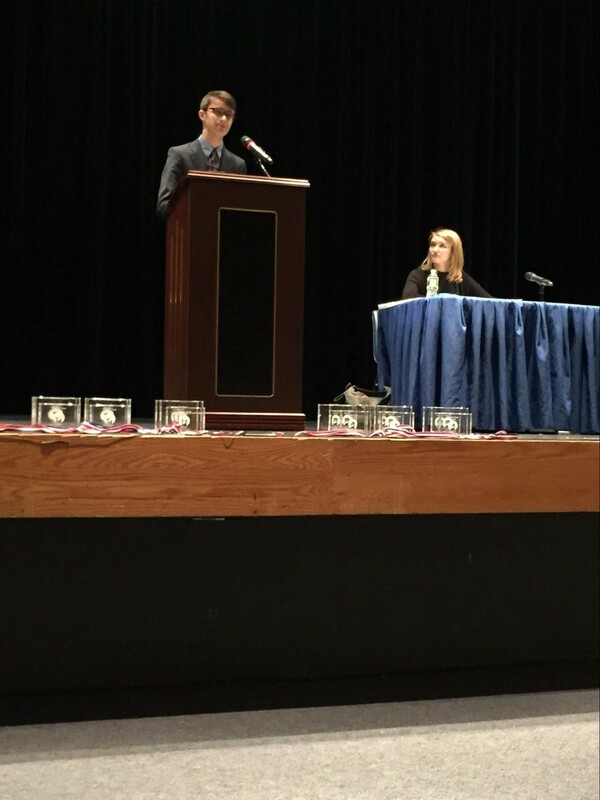 King also won an individual trophy for 2nd place Varsity Speaker, only a half point away from the first place speaker. 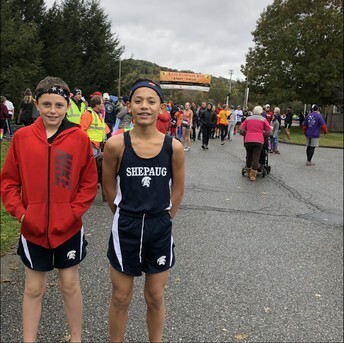 King and Snyder have already qualified for the State Championship tournament in March. 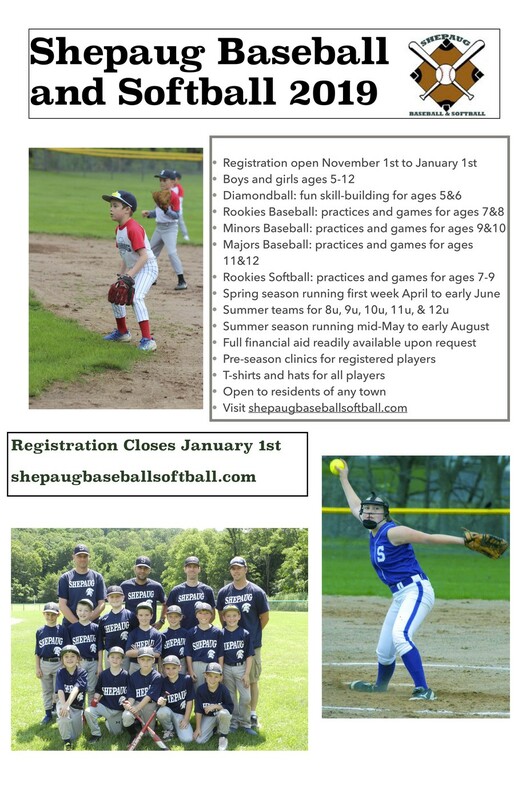 The team looks forward to attending the next regular season tournament at Pomperaug High School on December 8th. 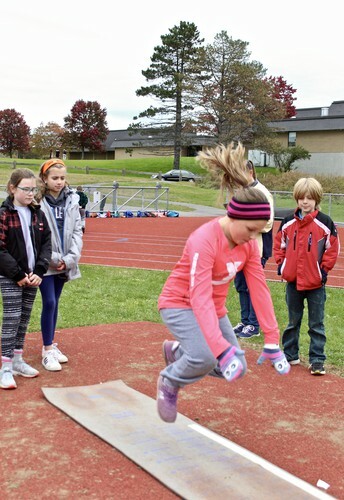 On October 24th, Shepaug hosted the fourth annual Celebrate STEAM! 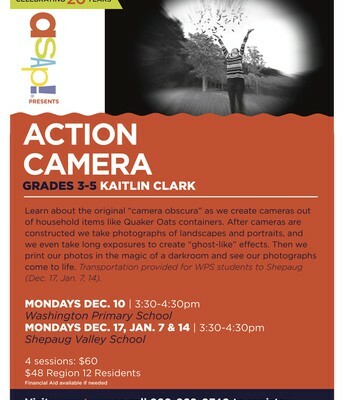 assembly for students in grades eight through twelve. 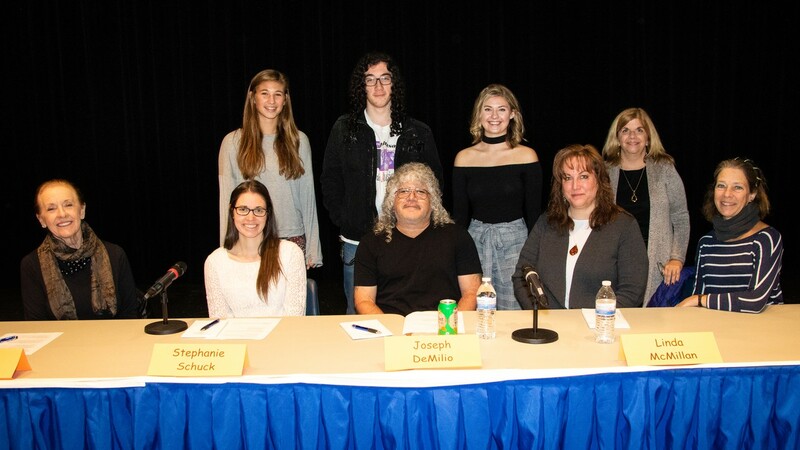 Seniors Ellie Schmus and Bailey Pote coordinated a panel of professionals in the Arts field to expose students to a variety of careers in this arena. Ellie composed questions for the panelists and emceed the event. 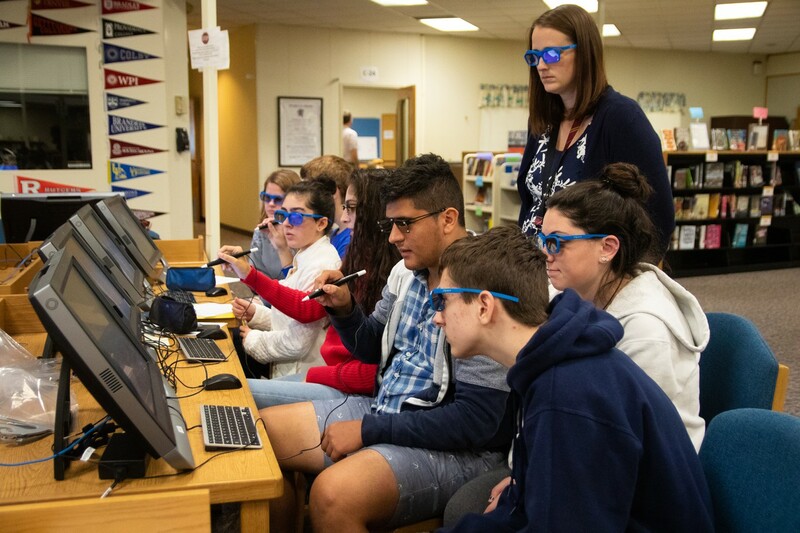 The series creator and faculty advisor, Marianne Maher, was a corporate professional and created the series to expose students to different careers in the STEAM field. The first three assemblies focused on careers in Engineering, Medicine, and Finance. Based on student input freshman year from the current senior class, today’s assembly was focused on careers in the Arts. The panel members inspired our students to reach for the stars and pursue their dreams. Linda Allard spoke about graduating from college and going straight to New York City with $200 in her pocket. She went on to become synonymous with the Ellen Tracy brand that filled a growing niche and revolutionized fashion for professional women. Barbara Braverman studied theater at NYU and became a principal dancer who performed on Broadway and worked with amazing professionals who inspired and shaped her career. 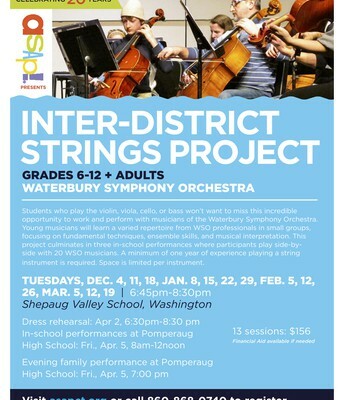 She gives back by teaching dance at Fine Line Studio and assisting with productions at Shepaug. Joe DeMilio was a chemist who when given the choice between opening a pharmacy or a music store chose the latter and never looked back. 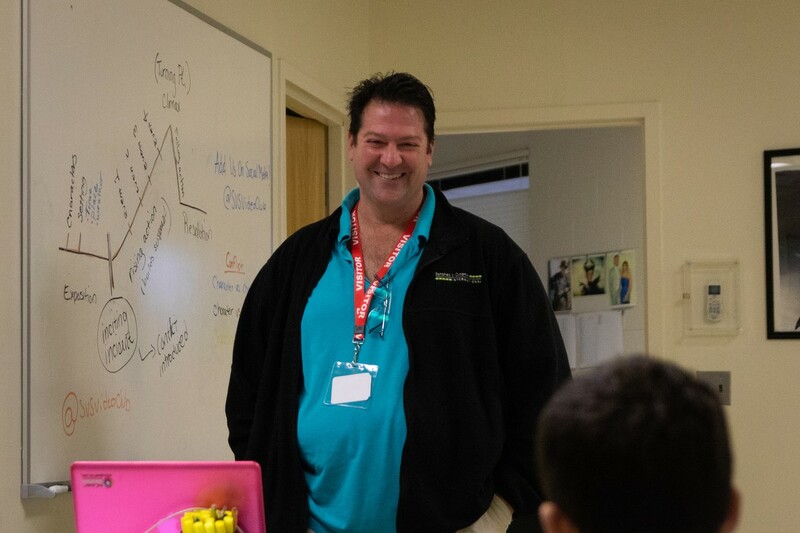 He continues to teach music and inspire students. 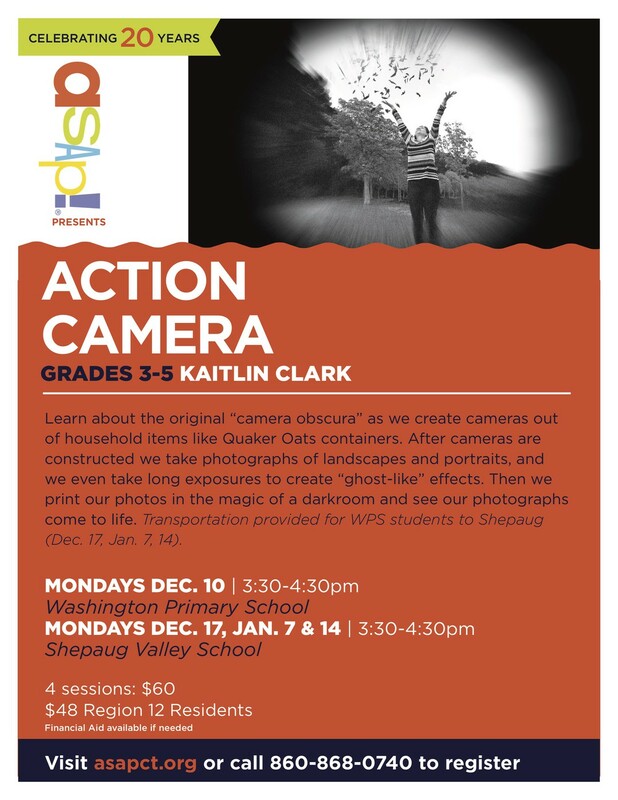 Stephanie Schuck turned a family hobby into a part-time business, setting up a sole proprietorship and balancing her love of photography with her love of teaching science and being a mom. Linda McMillan took her expertise in graphic design and photography, where her work for major clients was featured worldwide when she was only twenty-three years old, to giving back as a classroom teacher. 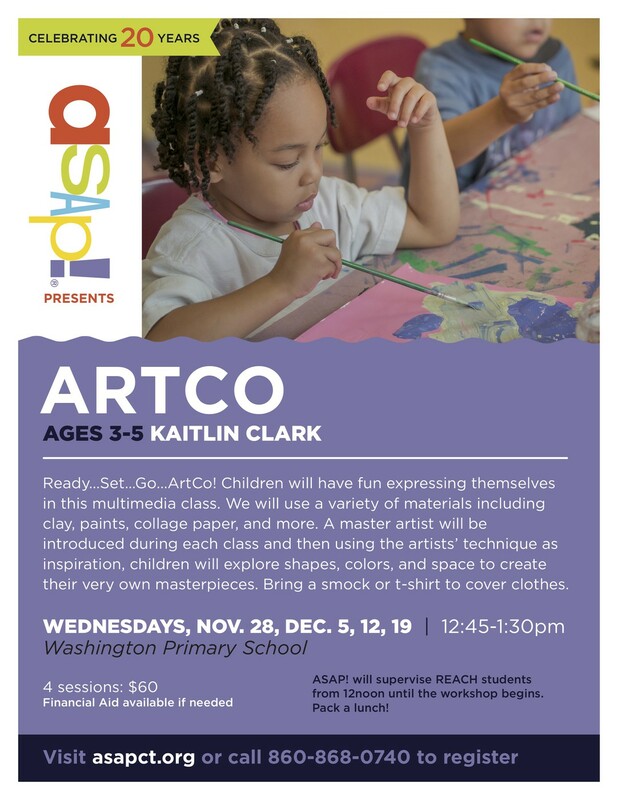 She continues to work outside the classroom in many facets including coordinating art shows that feature over ninety artists and doing pro bono graphic design work. The advice students were given was to go after what you are passionate about and don’t be afraid to try new things. 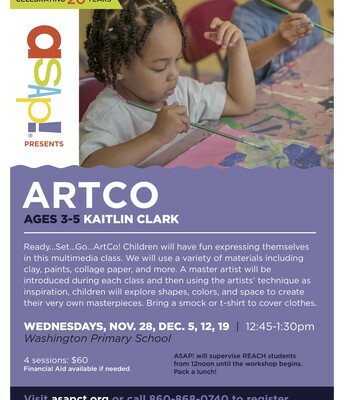 It is wise to have a back-up plan when pursuing a career in the arts or any competitive field. Don’t limit your path in life to your current vision as life has a way of taking you to exciting new places if you’re open to it. Reach out to experts in your field of interest; they are, more often than not, willing to help and truly enjoy teaching others their craft. Finally, when given the opportunity, give back. Every panelist was a teacher in one way or another and they all cited that as a very important part of their journey. As Ellie Schmus said, their advice was applicable to all students, whether pursuing careers in the Arts or otherwise. Special thanks to our panel members for taking time out of their day to give back to our students at Region 12. Thank you to Bailey Pote, Ellie Schmus and Jennifer Pote, Region 12 Board of Education member, for putting together such an inspiring panel. Thank you to Ellie Schmus for an amazing job facilitating the event. 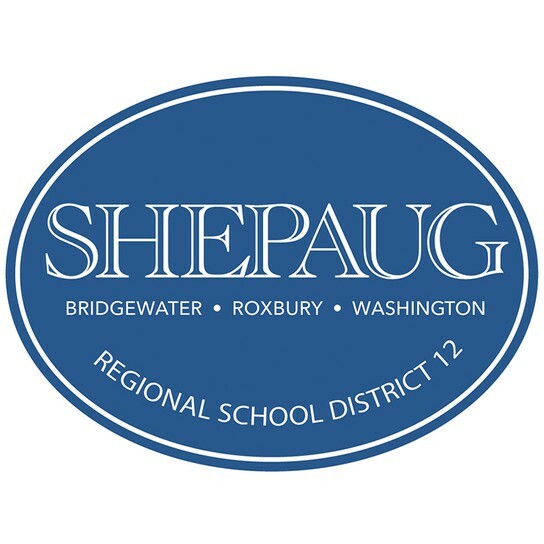 A video of the assembly is available on the Region 12 website. Next up...Science and Technology! Greg White is an assistant director and producer, known for Don't Say a Word (2001), The Good Shepherd (2006), She Came from the Woods (2017), and Law & Order (2007) to name a few. 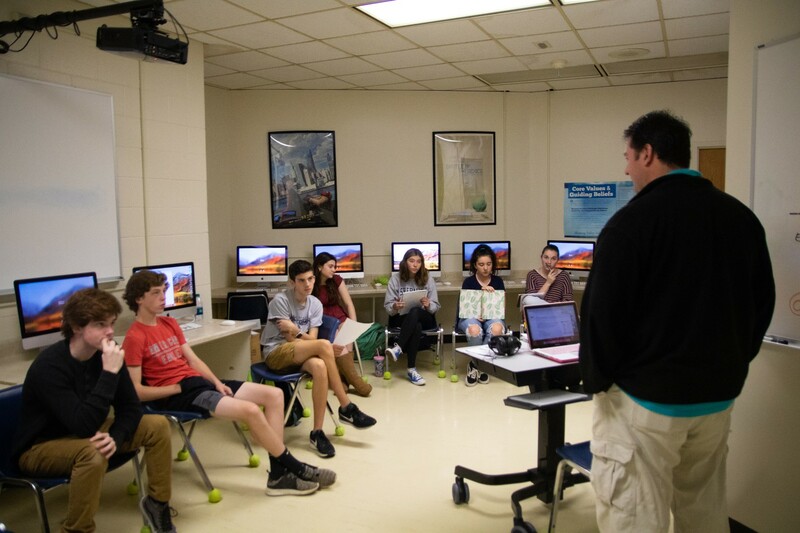 On November 2nd, Greg visited Shepaug's TV Production and Broadcasting class to talk about his experience in the movie industry, answered many questions prepared by the students, and gave inspirational advice on the best way to pursue a career in film.